Over the years, Vale of Evesham Commerce & Tourism Association - VECTA has supported many business and tourism events since it was formed 30+ years ago. 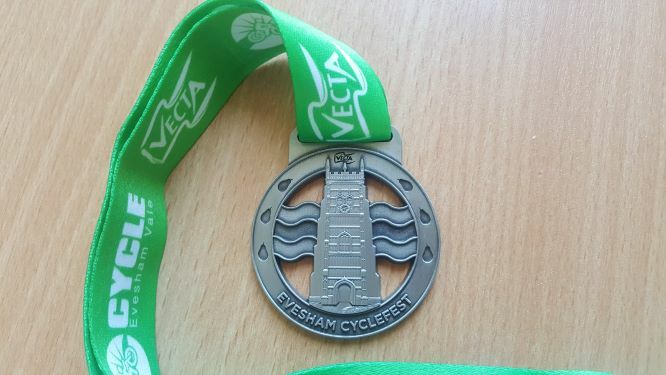 Recently, the group have played an active role in the town's Anti-Litter Evesham campaign, Port Street International Fayre the Battle of Evesham and Evesham Cyclefest - sponsoring their medals. If you'd like to join the group, please pop along to our open evening with drinks and nibbles on the Spirit of Freedom from 6pm on the 10th October.